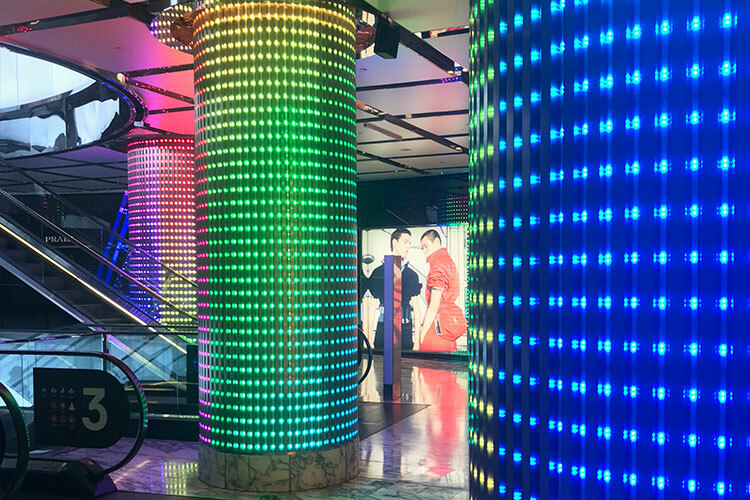 As part of Avatree’s successful design and build of Christmas for Westfield Sydney, our team was tasked to design a bespoke lighting solution to enhance the main entrances into the centre between Prada and Miu Miu. 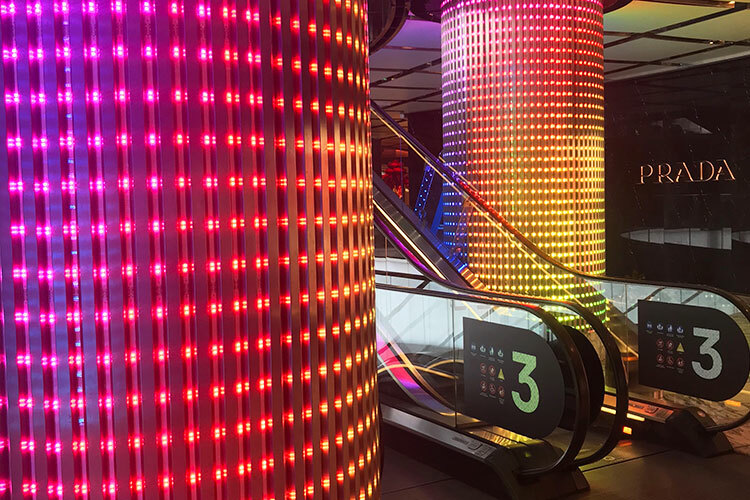 Avatree’s solution was to work within the existing architecturally designed columns by embedding fully programmable LED lighting tubes within each column’s profile. The effect has brought to life a normally uninteresting structure and turned it into stop and awe moment within the retail environment. The lighting is reprogrammed throughout the year to celebrate different festivals including Mardi Gras as pictured below.